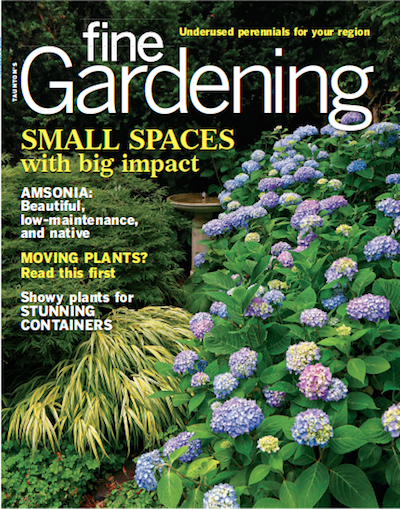 When most gardeners add fragrance to the garden, they start off with the same old tried-and-true shrubs and perennials, like roses, lilacs, and peonies. While these plants are quite fragrant, their sensory delight lasts only briefly. If you’re looking for extended aromatic infusion, consider filling in with fragrant annuals. 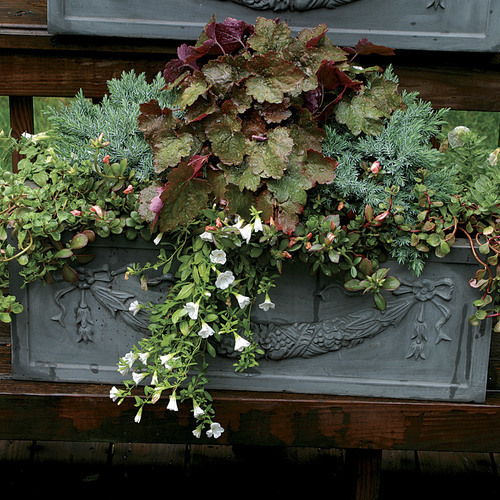 Annuals are indispensable accents for the garden. Recent breeding has produced superior plants with improved disease resistance; an array of new, vivid colors; nonstop and prolonged blooming; and, above all, intoxicating aroma. 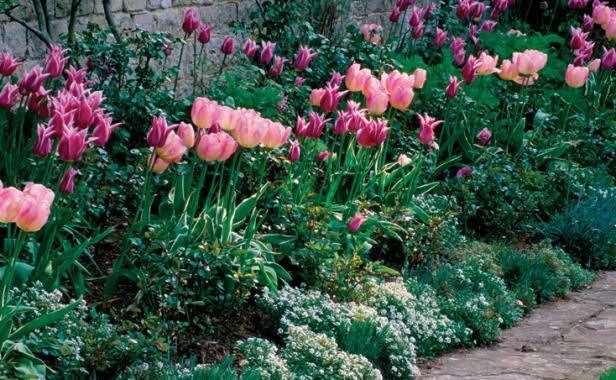 Whether used in baskets, as ground covers, or in planters, these annuals add wave after wave of color and fragrance for five months of the year or longer. Butterflies can’t resist ‘Fragrant Delight’ heliotrope. 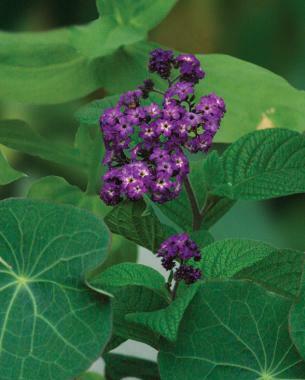 With lovely, dark purple flowers in sprays atop tall stems, ‘Fragrant Delight’ heliotrope (Heliotropium aborescens ‘Fragrant Delight’) has to be my favorite fragrant annual. And I’d say I’m not alone because the sweet, vanilla-scented flower clusters begin to attract butterflies with the first spring blooms. Though heliotrope can be started from seed, cultivated varieties like ‘Fragrant Delight’ need to be propagated from cuttings. 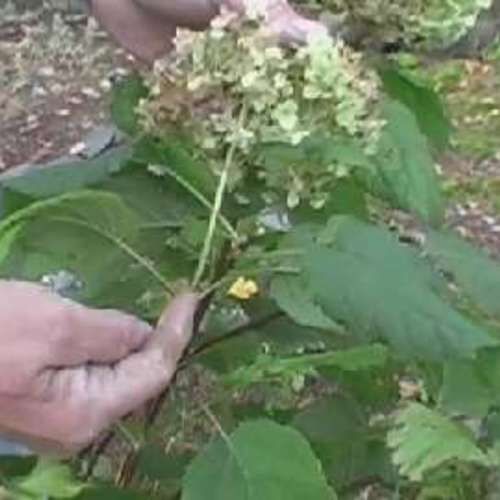 It benefits from pinching to encourage better branching. 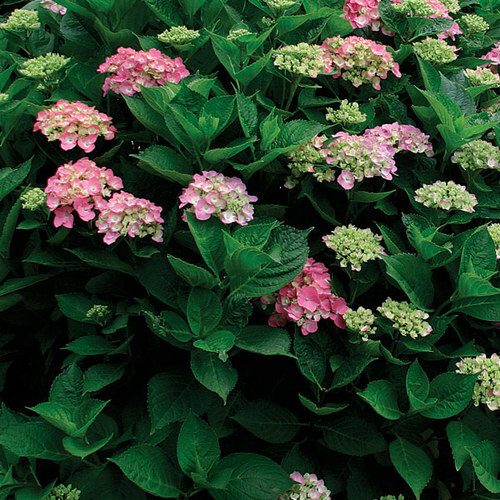 Because of its mounding habit, ‘Fragrant Delight’ works great as a centerpiece for large hanging baskets. 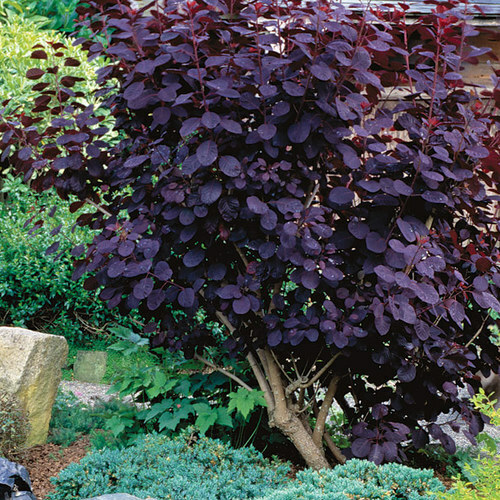 Indeed, its beautiful, dark purple–tinged leaves with heavy veins make it a great addition to almost any container combination by providing a great textural element. One of my favorite colors to pair it with is pure yellow. Plant stock as a great cool-weather plant. 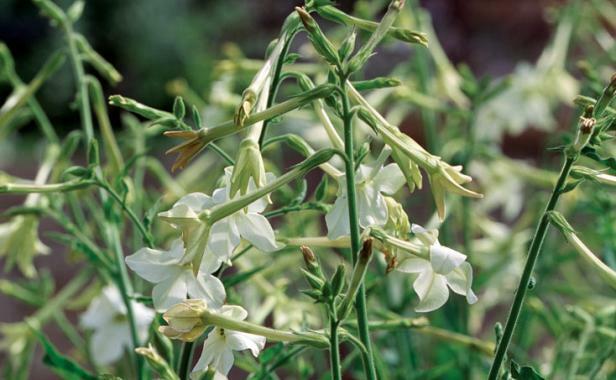 Name: Matthiola incana and cvs. For even more color, try stock (Matthiola incana and cvs.). These sweet, clove-scented beauties come in many shades and colors and make a great transitional annual for the cool tem­peratures of early spring and fall. 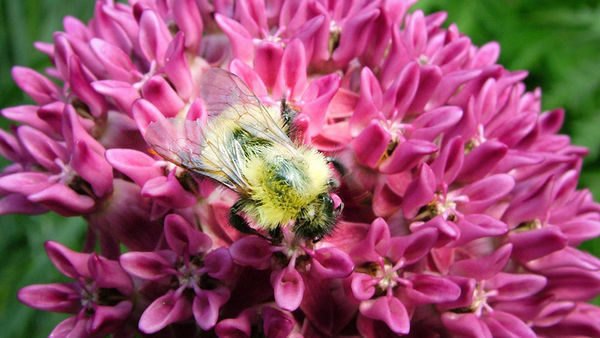 As temperatures warm, be sure to keep stock deadheaded or they will quickly go to seed (they will, inevitably, stop blooming during the summer months). Because of their stiff, upright habit and beautiful array of colors, stock make wonderful components in con­tainers. They are also valuable as fresh or dried cut flowers. 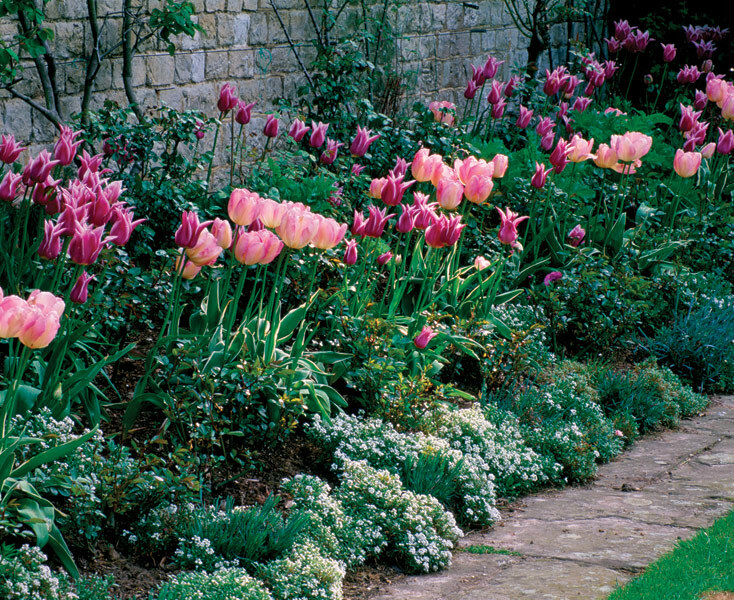 To experience the yummy fragrance, you’ll need to plant at least half a flat. Stock are quick to flower from seed, but temperatures below 65°F are required for them to set bud. 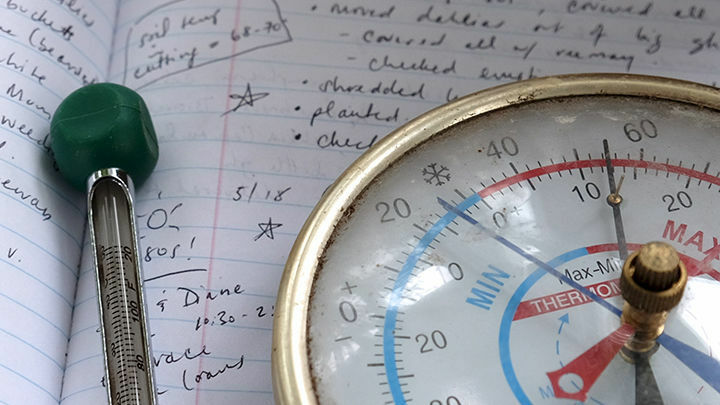 As a result, it may be wise to start seed indoors in early spring. 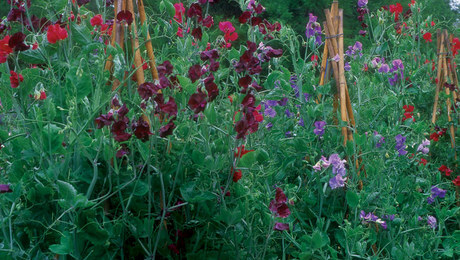 Sow again in early fall for fall blooms. Sweet alyssum grows easily and reseeds itself. Add another great spring starter to your repertoire with sweet alyssum (Lobularia maritima). Just saying the name will conjure up memories of the first time you experienced its beauty and aroma. This is one of my favorite reasons for using fragrant annuals in the garden: The sights and smells create memories that last a lifetime. Sweet alyssum is one of the easiest annuals to grow. 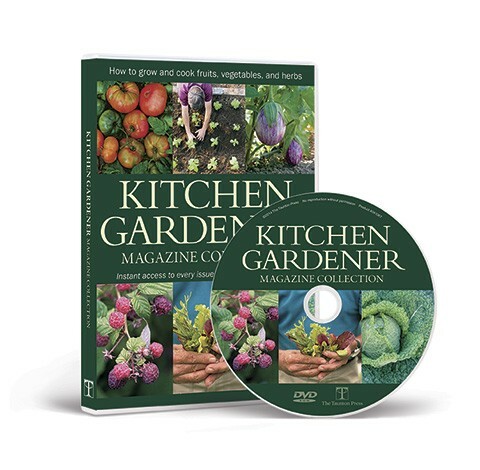 It can be sown uncovered directly in the ground as soon as the ground has thawed or in pots for transplanting later in the season. A mat-forming plant, it has dense clusters of tiny, sweet-smelling flowers. White alyssum, like ‘Snow Crystals’, performs better than the other colors during the hottest part of the summer. All varieties benefit from an occasional shearing to keep them from looking straggly in hot summer weather. 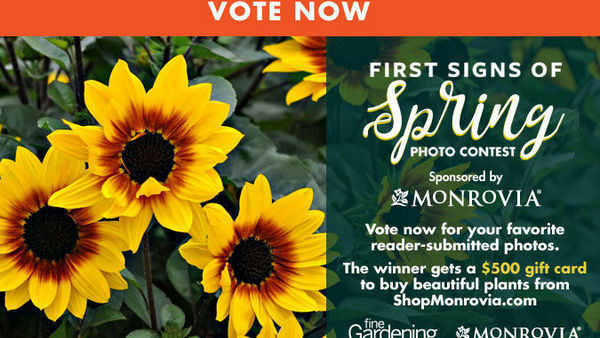 This annual will give you the most fragrance in your garden for the least amount of effort. Although the plant is low to the ground, it screams to be noticed as its intense honey scent wafts in the air. 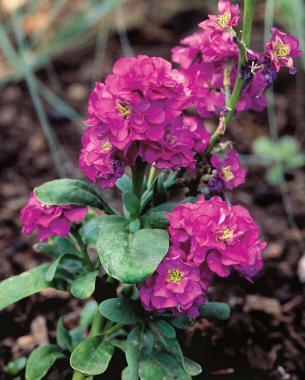 Use it as a border plant along pathways or in containers. 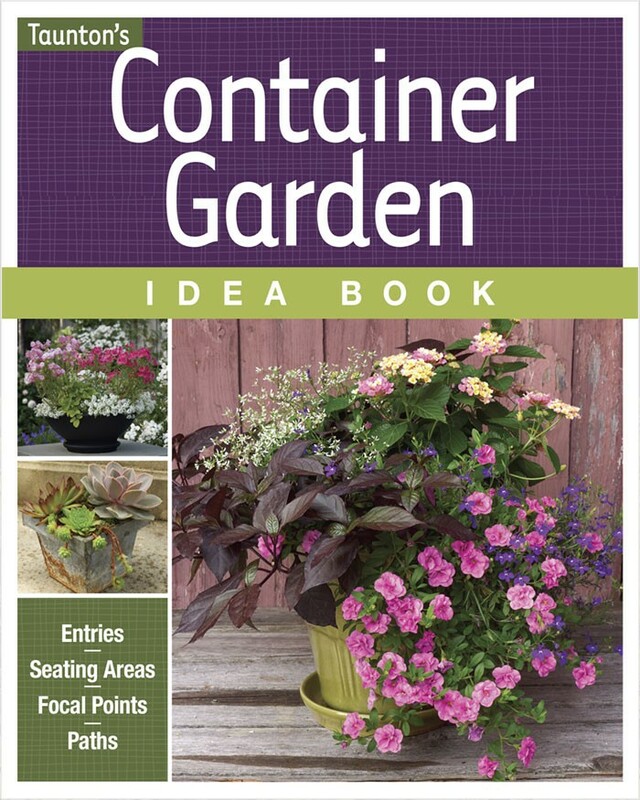 It is inexpensive, and you’ll only have to buy it once because it readily reseeds itself. Chocolate cosmos is an aromatic treat. 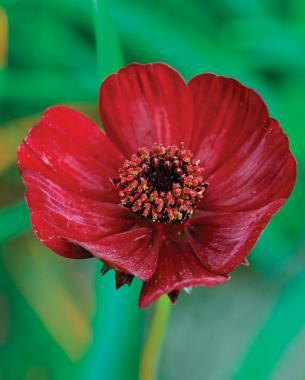 For summer indulgence, chocolate cosmos (Cosmos atrosanguineus) hits the spot. 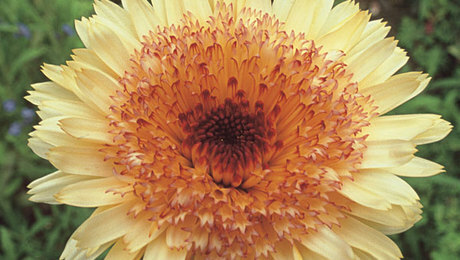 This charmer is grown for its unique, rich, reddish brown flowers that, like many chocolates, have a light vanilla fragrance. But don’t be tempted to taste this poisonous beauty. 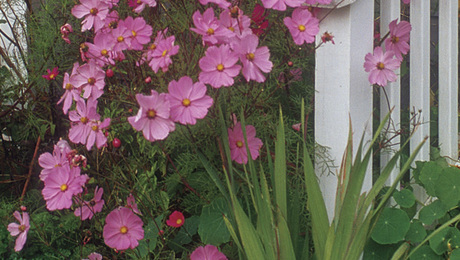 Native to Mexico and often listed as an herbaceous perennial, chocolate cosmos is an annual for those outside USDA Hardiness Zones 7 to 11. You will need a minimum of six to eight plants together to get the full impact of the chocolate fragrance, which becomes more noticeable as the summer days warm up. ‘Fragrant Cloud’ flowering tobacco fills the evening air. When day advances to night, ‘Fragrant Cloud’ flowering tobacco (Nicotiana alata ‘Fragrant Cloud’) comes to life, releasing its sweet scent as the sun goes down. Other flower­ing tobaccos also provide fragrance, but I prefer the larger flowers of ‘Fragrant Cloud’. Hummingbirds are drawn like a magnet to its tubular white flowers. With its huge, tropical-looking leaves and tall stature, ‘Fragrant Cloud’ allows me to add focal points throughout the garden. 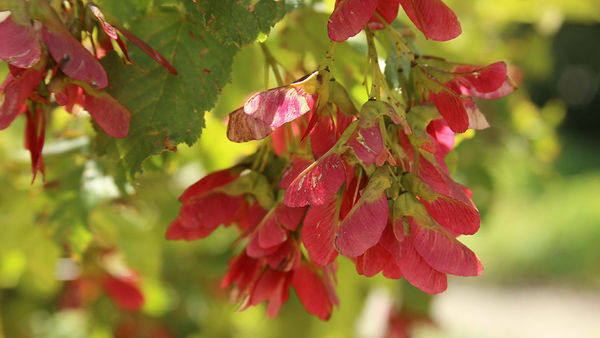 It grows easily from seed, which can be scattered on the ground after the danger of the last frost has passed. If it is not deadheaded, however, it will reseed rampantly. 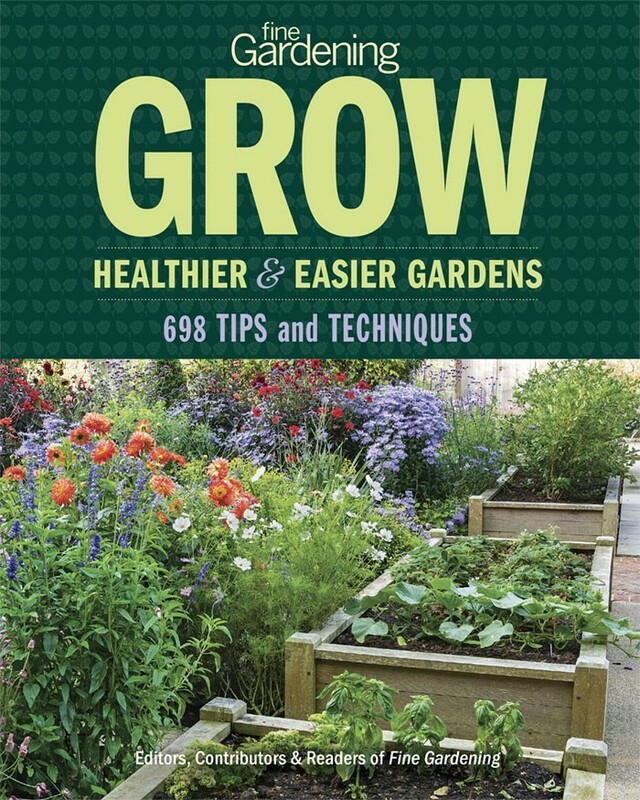 I don’t generally find this to be annoying because the seedlings are big, leafy, and easy to pull out—plus, I usually love where they fill themselves in. Snail vine trails coils of color and fragrance. 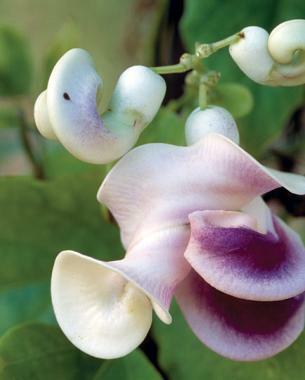 For a more exotic touch, snail vine (Vigna caracalla) is a gorgeous addition. It has breathtaking flowers coiled like snails in shades of purple, cream, and yellow. 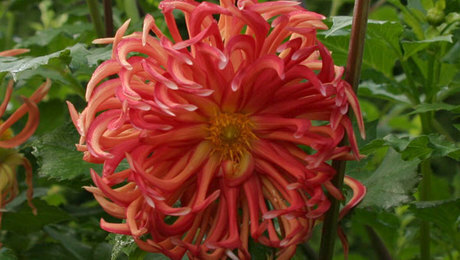 The blooms grow in 12-inch-long coiled clusters on 20-foot-long vines. Fairly easy to germinate, snail vine provides yearly beauty and fragrance for lucky gardeners in Zone 9. 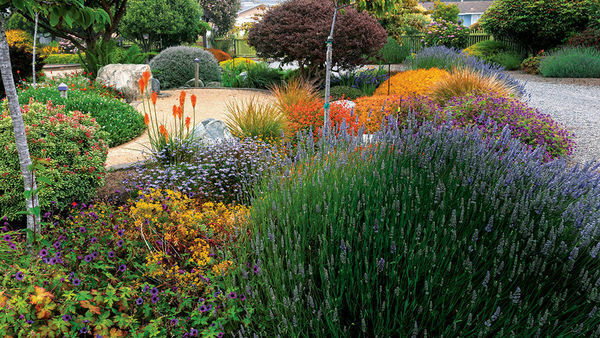 In other zones, it can be treated as an annual and replanted each year or dug up and protected in a greenhouse or garage where it will get some light and won’t freeze (around 45°F is ideal). To grow it from seed, soak the seeds overnight. Once they have swelled, they are ready to plant. 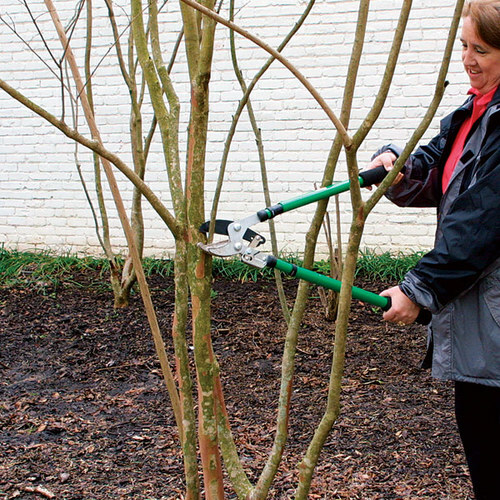 For overwintering in a container, prune the vine back to about 3 feet tall and tie it to a tepee of three stakes. Reduce watering to once or twice a month. The leaves will eventually fall off over the winter. 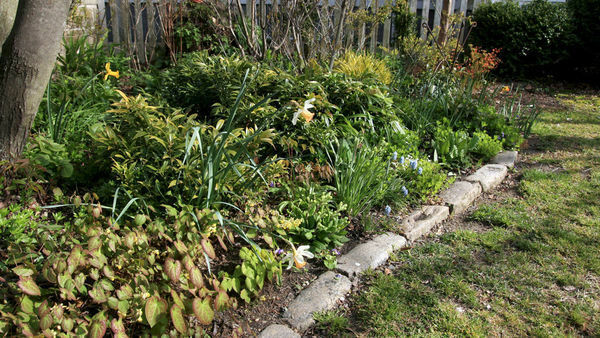 After the danger of frost has passed, the snail vine can be taken back outdoors. Trim it back again, or the new soft growth may get sunburned by full sun. 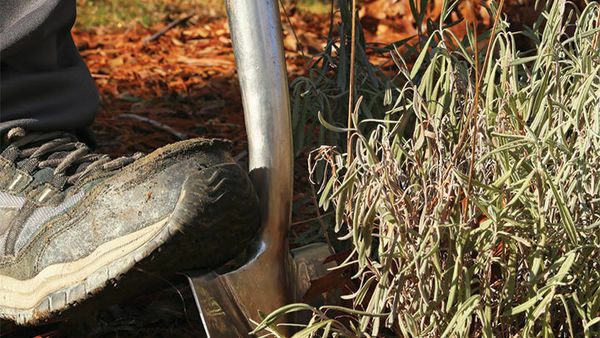 It won’t hurt the plant to cut the older, woodier vines back to within 8 inches above the soil surface. 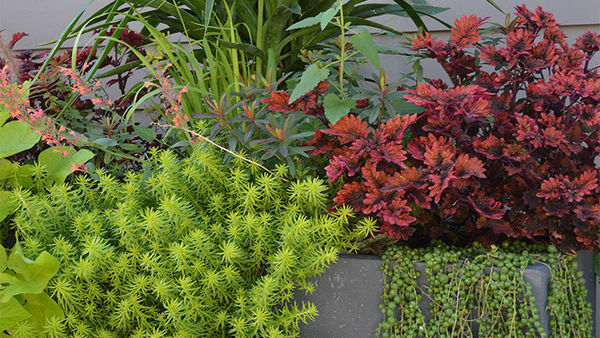 Repot it in a deep pot or replant it in the ground, then start watering daily and fertilizing twice a week. The fragrance and beauty of the snail vine is so intoxicatingly beautiful that it is well worth the extra effort. 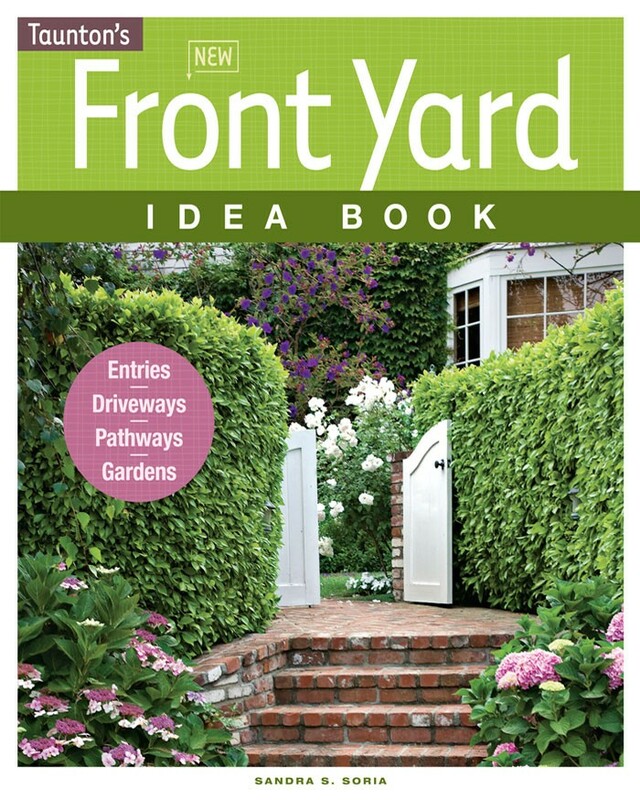 Plant your vine on a trellis near a patio or window where the fragrance can be enjoyed and the blooms admired. 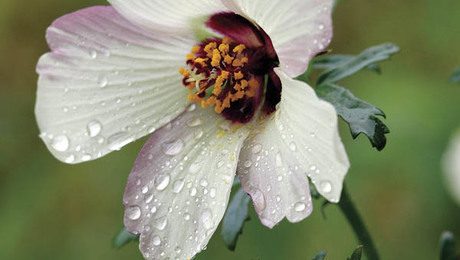 Impressive as they are, these annuals are only the beginning of a long list of delights that can help infuse your garden with fragrance. ¡HOLA! VIVO EN ARGENTINA. NO TENGO SUERTE CON LAS PLANTAS, Y MENOS CON FLORES. YA VINO EL OTOÑO LLUVIOSO Y FRIO. POR FAVOR, QUIERO TENER FLORES. QUE ME ACONSEJAN DE ACUERDO A ESTA ESTACION. QUE SUELO, RIEGO, ETC. ESPERO RESPUESTA PRONTO. MUCHAS GRACIAS. LOS SALUDO. GRACIELA CEBALLOS. Another fragrant plant which is often available as an annual (but occasional will winter over here in Philadelphia) are the increasing number of Agastache cultivars ( hybrids with A. rupestris or A. aurantiaca ) in shades of yellow, orange and pink. These are often called licorice or hummingbird and really take off starting in summer and into the fall. 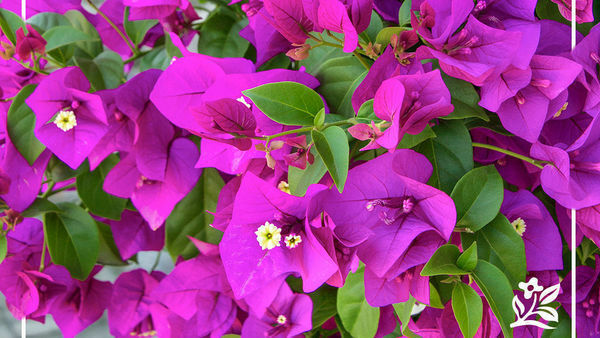 They perfume the garden in a magical way….as much from the foliage as the flowers. The more hardy Agastaches here are the blue ones, but they add far less fragrance to the garden. I'm going to look for some ‘Fragrant Delight’ heliotrope this year, you've convinced me!